Swaziland is a landlocked country in southern Africa, squeezed between Mozambique and South Africa. The sovereign country, officially the Kingdom of Eswatini, has a population of approximately 1.3 million people, while its land area covers about 17,300 km2. Swaziland is among the ten smallest countries on the African continent. Nearly 90 percent of the Swazi people identifies as Christian, while both English and Swazi are the official languages in the former British colony. Mswati III (the king of Swaziland), Richard E. Grant (actor), Bongani Khumalo (footballer), and Noma Dumezweni (actress) are some of the most famous people from Swaziland. The tiny kingdom is known for its fabulous craftsmen, comprehensive inventory of species, and fascinating wildlife. 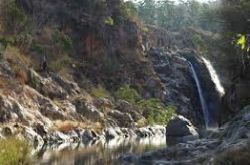 Swaziland is an Eden for hikers as the tiny country boasts lots of stunning mountains, rivers, beautiful valleys, and waterfalls, including the marvelous Mantenga Falls. All games of luck are legal in Swaziland, which is home to multiple land-based gambling establishments. Online gambling is also legal, and the government of Swaziland grants licenses to operators of virtual casinos. Additionally, there’s no internet censoring system in place and Swazi gambling enthusiasts can freely enjoy foreign-based online casinos. Swaziland is one of the richest nations in Africa, and a lower middle income country in terms of gross domestic product (GDP) per capita. It should come as no surprise that South Africa is Swaziland’s most important trading partner as approximately 85 percent of its exports goes to its eastern neighbor. Economic growth has lost momentum since 2013, but the International Monetary Fund (IMF) forecasts a recovery in 2017 (+ 1.7 percent), mostly because of the uptake in Swaziland’s agricultural production. The latter sector employs about 70% of the population. The manufacturing industry however, has made little progress in the last ten years despite diversification. Swaziland’s purchasing power parity (PPP) increased to $11.06 billion in 2016, compared to $10.83 billion in 2014. Additionally, its GDP per capita was valued at $9,800 in 2016, which stands in sharp contrast to the level in 1975 ($1,073). Income is very unequally distributed, and poverty is one of the biggest problems in Swaziland. Indeed, more than 60 percent of the population lives below the national poverty line. Unemployment is another issue that needs to be addressed by the government as the jobless rate has increased to 40 percent. With more than 363,000 internet users, Swaziland’s penetration rate has climbed to 28 percent. Just like in most countries on the globe, an increasing number of Swazis use a mobile device to connect to the worldwide web. If you consider their weak spot for all kinds of gambling, it’s easy to understand why internet casinos continue to gain popularity. How to deposit money in an online casino when I’m from Swaziland? Want to explore the stunning world of online gambling after reading our “online casino Swaziland” page? Receive a 100% welcome bonus at Royal Panda’s superb online casino platform!